Phenomenal woman! 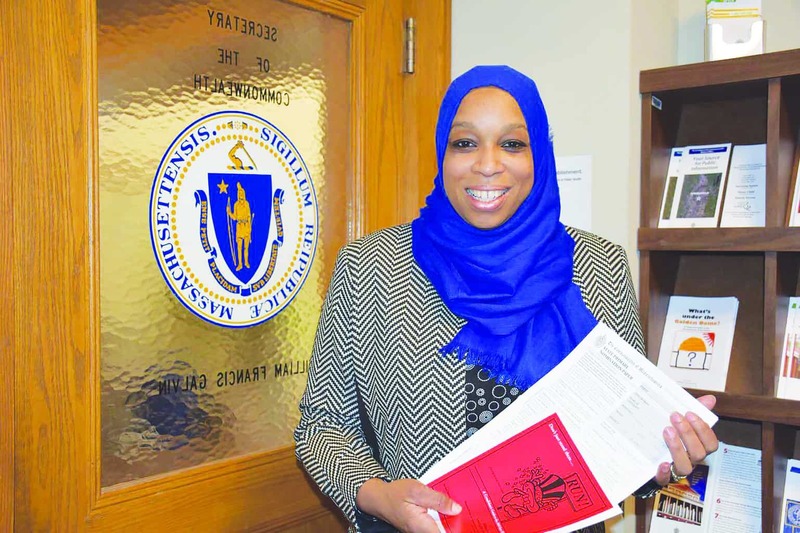 Tahirah Amatul-Wadud, who campaigned for the United States House of Representatives for the First Congressional District of Massachusetts will be known and recognized not only as the candidate that ran against and subsequently conceded defeat to 30 yrs. veteran politician Rep. Richard Neal, but also remembered as the American, Muslim lady with integrity, honor, and upstanding character, who answered the call from her community and country, to take her place in history. Ms. Amatul-Wadud’s campaign sought to give voice to the people of Massachusetts and they responded with record numbers of voter turnout for a primary, numbers never seen before according to the Daily Hampshire Gazette, topping 50 percent in some counties. Minorities in the United States often face a plethora of challenges. However, Amatul-Wadud successfully navigated being a Muslim, African-American, woman, attorney and congressional candidate with grace and determination. She disallowed those with religious, racial and gender biases from deterring her goal of inspiring hope in the hopeless and being a voice for the voiceless. Her differences in contrast to other politicians was a tool to educate the masses on both a political and social level, and she utilized it well. As a novice in the political field, Amatul-Wadud routinely faced the importance of getting her message out to the people. With a funding deficit of 26:1, this was no easy task. Nonetheless, she was eager to campaign on a platform of assisting the citizens she represented, particularly the marginalized and poor by focusing on health care for all, securing jobs and opportunities for the working class, and advocating for women’s issues. The success of these efforts are exemplified by the individuals and organizations that offered her their support. They include: Massachusetts Peace Action, National Women’s Political Caucus, the Progressive Democrats of America, Pittsfield City Councilor Helen Moon, and a host of others. Amatul-Wadud may not be representing Massachusetts First Congressional District in Congress, but she is leading the change the district needs by demonstrating her respect for humanity, love for her community and commitment to American values that has been sorely needed not only in Springfield, but nationally. She has inserted into the political arena a threefold presence: African-American, woman, and Muslim. Just as President Obama opened the White House door to the possibility that an African-American could lead this country, now more minorities will step forward to lead our nation in the halls of government. Kudos to Tahirah Amatul-Wadud for not only a job well done, but one sincerely appreciated by the American people. Next articleDOLCE & GABBANA, H&M, NIKE AND MORE: WHAT’S UP WITH THIS NEW HALAL INDUSTRY CRAZE?